Classic Fit, 14.0 oz. (410g) Recycled anti-pilling GREEN PLUS® fleece. 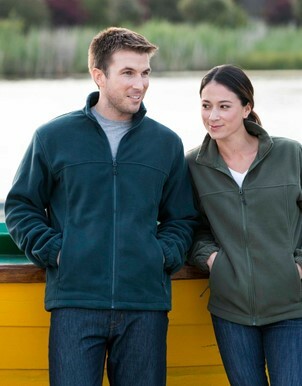 Landway is now doing their very popular Newport fleece jacket in a 85% recycled polyester variation. This is basically the same fleece as the standard Newport, is is simply made from polyester from recycled resources, instead of virgin poly. The Recycled Newport is 14oz fleece, Landway refers to their recycled fleece pas GREEN PLUS® fleece, with a full-zip front zipper, and two zippered pockets. The Recycled Newport comes in Black, Deepwater Blue, and Spruce green. These jackets are always good for embroidery, although Landway does not do decoration in house. For any company with a focus on outdoor activities, and with a sustainable message or product, these are great fall fleece alternative to mainstream jackets. If you are interested the Recycled Newport jacket to promote your own business, or to get a sample, email info@proformagreen.com for information and pricing.